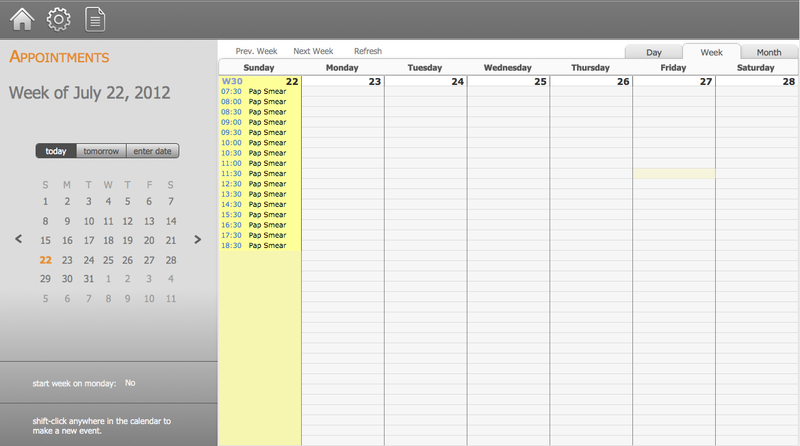 Just got this great screen shot from Shawn Mayers who has integrated our calendar into his solution. I am working on a solution for a doctors office and one of the features is to have an electronic appointment book. I chose your solution, SeedCode Calendar, to made this request. I was excited about how smoothly the integration worked; so I am sending this email. I have attached a screen shot of what I am working on. Thank you for developing an awesome product. Thanks for the screen shot and the kind words, Shawn!